I couldn't think of a better match for these shoes than a pair of sparkly socks! These clear and patent leather oxfords make me want to buy more socks! To be honest, I have never been too crazy about socks, socks with heels are seen over and over again on runways, socks with tights have been rocking pages of lookbooks and catalogs for years. Today was a hot day, too hot for tights, and I feel a little gross going bare with no socks in "actual" shoes (my definition of "actual" shoes is shoes that cover most of your feet such as oxfords, booties and boots; you know, the kinds that don't really allow your feet to breathe) so I gave these socks a try... and I actually like how they look! Perhaps from now on I will start incorporating socks into my outfit! As for the rest of my outfit, both the dress and the sweater are from my work Sway. I have seen and owe many holey sweaters but this particular one catches my eyes with its closely knitted panel on the front. That opaque panel and the loose holey knit make an interesting contrast. For the floral dress, I love the cut out on both sides of the waist. It's a modern take on a tailored, collared, buttoned up shirt dress. Floral cut out dress by Sans Souci from my work Sway. Sweater by Cotton Candy from my work Sway. 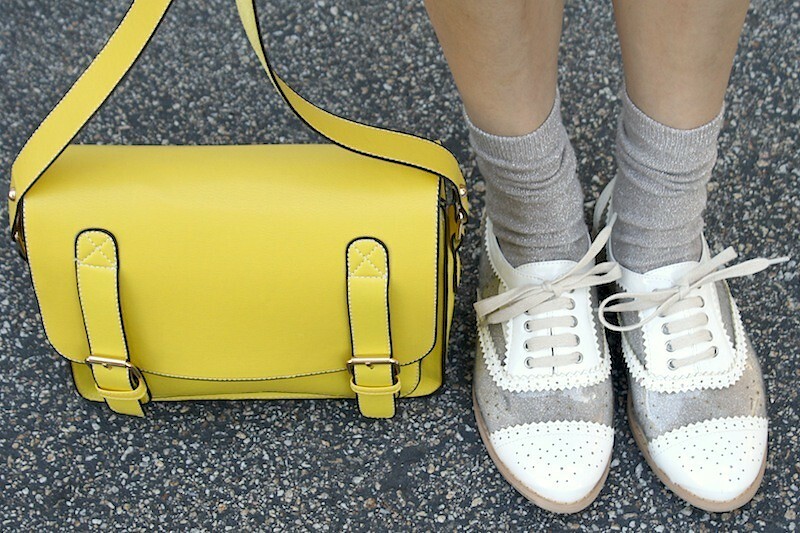 Clear and patent leather oxfords from Hong Kong.Yellow satchel handbag from Hong Kong. 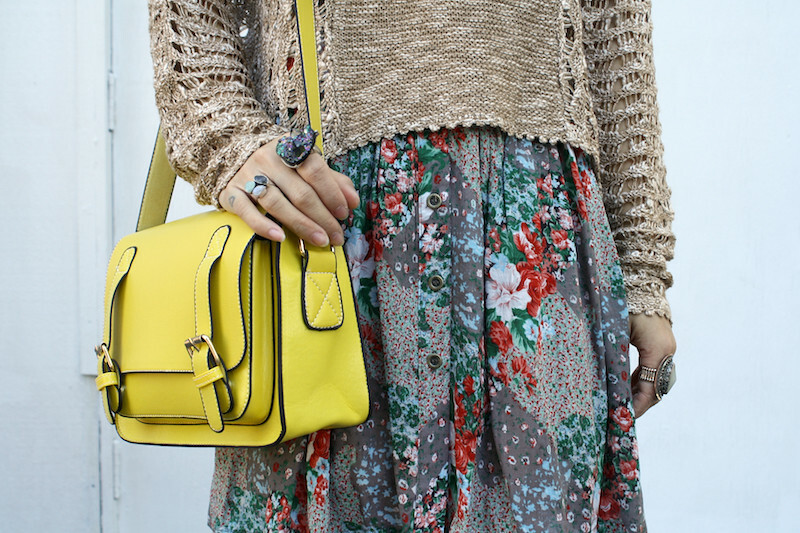 Rings from F21 and ebay. So cute!! I especially love the shoes!